Discover the Nu Beautiful You ! Skin peels improve the texture of the skin, giving it added brightness and rejuvenation for a more youthful, fresh glow. Facial peels are a form of deep exfoliation, unclogging the skin of dead cells that can create a dull, lackluster complexion. By removing the superficial layers of the skin, collagen and new skin cells are produced, enhancing your complexion. A few days after treatment, the outer skin layer will harden and peel away, revealing a new layer beneath, with a smoother texture and a more vibrant feel. Depending on the extent of the problem, or the desired result, the treatment may have to be repeated over a number of weeks to achieve your goal. This will all be discussed at your consultation with our Skin Peel Specialist. Nu Cosmetic Clinic have highly qualified nurses and doctors who perform facial skin peels at various locations throughout the UK. This is dependent on the type of peels you choose. A glycolic peel normally maintains results for 3-6 months, where deep peels will last for up to 5 years. This is dependent on your skin prior to treatment and the type of peel you choose. You skin specialist will be able to tailor a bespoke package for you based on your needs. If you choose a light peel, you can go back to normal activities the same day. 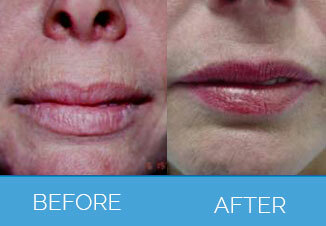 A deep peel will leave your skin quite red for up to 10 days after the procedure. We recommend you avoid excessive heat for about two weeks after (e.g. sunbathing, sunbeds, saunas). If you have had a deep peel, we recommend that you do not use any products, other than those we recommend, for at least 2-3 weeks after the procedure. Over the counter peels are available, though these are generally not as effective. 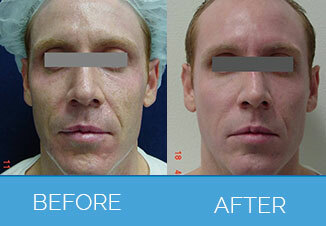 There are no patient stories for Facial Peels Treatment. Any form of cosmetic enhancement is very personal, so prices are bespoke dependent on your individual needs. As a rough guide, you can expect to pay £49 – £199.